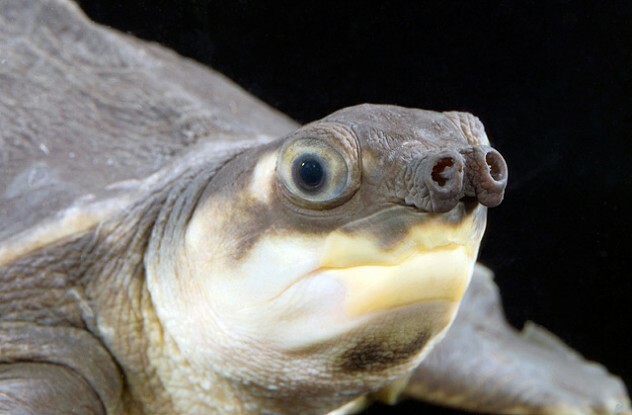 Have you ever really looked at a turtle’s face? 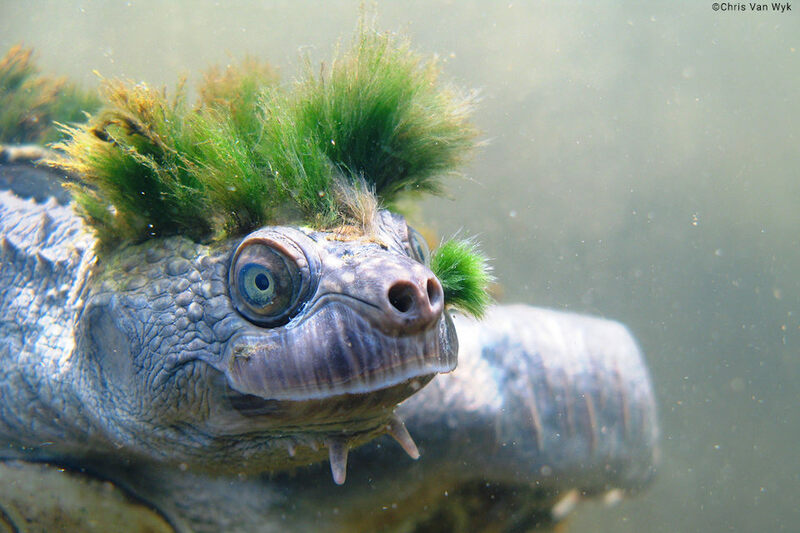 There are some pretty cool looking turtles out there in this world! When I was deciding what Flashtista should look like, I couldn’t pick just one kind of turtle to model her after. There are just so many variations! So I picked what I liked best out of a few different types of turtles, and melded them together, to create the “warrior turtle” look. I really like the markings that pond turtles have on their heads, so I added a few stripes to the top of her head and her cheek. And those alien-like eyes were inspired by the sea turtle. And the rest is all Flashtista! Check back to the blog next week to read all about Flashtista’s tribe! So, really it’s not so hard to translate all these looks onto our very own emotional space tiger. I can’t wait to get further into the story, where Karma really gets her chance to express herself! Snuffs was another one of those characters who’s design just came super quick for me. I had a very clear idea of what I thought he should look like almost immediately- and I think that was the key to why the design came so fast! I see Snuffs as the every-man family guy Dan Conner of Roseanne, with a healthy dose of Seymor Krelborn of Little Shop of Horrors, and his love of strange and exotic plants. With these two characters in mind as inspiration… voila! Snuffs came to life! Admittedly, I find him to be one of my favorite characters to draw. I’m not afraid to admit that Zayd is probably my favorite character from the Star Beasts crew. A cool, easygoing guy who just wants everyone to get along and have a good time – who wouldn’t want to hang out with him!? Plus, I love dancing, and Zayd is the right creature to have around for providing stellar galactic beats. I finished the sketching process and wasn’t 100% happy with the results… but I didn’t quite know what I should change about him. So when this happened, I decided to just let it sit, and move on to the next character. Zayd was among the first few characters I designed, so I was still working out the kinks of the overall look of the comic, and hadn’t quite gotten into the groove of things yet. Throughout the next few weeks, I would pop open the file and take a look, wondering what the problem was. The look just didn’t quite jive with my mental image of the character. Then I realized that whenever I thought of Zayd, I had a real-life person in mind. My drawing was not quite reflecting the qualities of that person, so it didn’t feel right! My IRL muse is a tall, somewhat lanky dude, and the original version of Zayd was a bit bulky. So with a few adjustments to the face and head, and after shedding a few pounds from the chest, the true Zayd finally came to life! When I started doing the initial drawings of all the characters, I was very excited to design Eleanor, because I love to draw birds… they come in so many varieties – many colors, sizes, markings, different beaks, etc. I knew from the start that Eleanor should be a Parakeet. But even just ‘parakeet’ doesn’t narrow it down! have you seen how many different parakeets there are? …And those are just the Australian types! In the end, I decided to go simple… I imagine Eleanor as a yellowish green parakeet with a orangey-pink cheek mark. As simple as she was, however, Eleanor was probably the character that gave me the most trouble once I started on her. Everything I drew just looked wrong. It turns out, anthropomorphizing a bird was a little trickier than I imagined. Finally, I decided I needed some inspiration. I tried to think of a cartoon bird that I liked the look of… Where else did I turn, but one of my childhood favorites, Disney’s The Three Caballeros! Jose Carioca, the green parakeet from Brazil, was just the bird I was looking for! The beak on that guy is amazing! Although it may not look like it, studying the way Jose’s beak was drawn really helped me figure out how to draw Eleanor’s. Her beak ended up a lot daintier than our caballero here, but he definitely helped me get there. When the story has been written, and it’s time to figure out how everything looks on the page, Crewcreature Steph and I put our heads together and plan it all out. We go through the script page by page, and make sure the pacing is right, and there is room for everything we need to show. Sometimes, as we are going through, we find that there is too much action in one page of the scrip, and we need to let it have more room. This is where working together so closely comes in handy. Steph can just make an adjustment in the script, and we can give the scene an extra page, or let it smoosh into the next page a little bit. Once we are all done walking though the story page by page, (which takes several mornings over pancakes – In this issue, we spent a whole morning figuring out how to show a handful of characters entering a room. An unexpectedly tricky scene!) I have a completed board of thumbnail sketches of the entire issue, with notes and sketches where needed. I then use this when I’m working on the first draft of the sketch, and it makes things soooooo much easier! Horbue? A gold shooting star to the person who can translate that bottom left frame! And what character is that?? Is it a Sea Lard from Ooo? Anyway… this part of the comic-making process is a true example of the value of teamwork and cooperation. I don’t know how others are able to make great comics without this step! If you are working on a comic with a friend, we highly recommend the layout huddle. Give it a try!